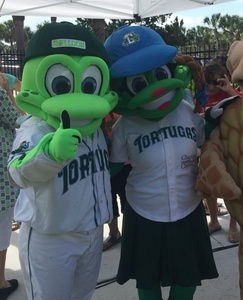 After months of searching for his one true love, Shelldon of the Daytona Tortugas turned to an online Turtles Only website and found Shelly! 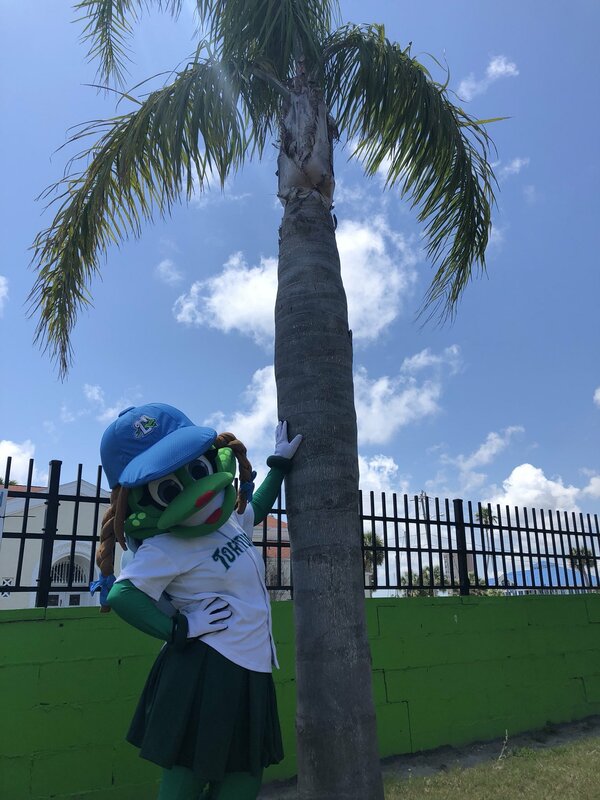 Shelly loves racing on the beach, hanging out in the infield with her friends and watching baseball sail out of Jackie Robinson Field. Keystone Mascots was challenged to use new materials to create a more breathable structure for the Floridian turtles. Ventilation screens strategically placed in the head spots, jersey mesh in areas to aid in air flow, and the commitment to creating water-washable suits was a home run for our crew this spring. Best wishes, Shelldon and Shelly! Let's hope the next ring is the FSL championship kind!